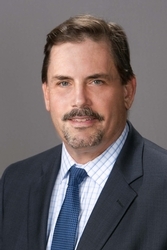 David J. Truelove has been named as Co-Chair of the Bucks County Bar Association’s Merit Selection Committee, overseeing the process of interviewing judicial candidates, and administration of the judicial plebiscite, for the 2019 judicial election. Eight candidates are vying for the three open positions on the Bucks County Court of Common Pleas. Mr. Truelove is a member of the Employment and Labor Law, School Law, Municipal Law, Internal Investigations and Complex Litigation practice groups of Hill Wallack. He works primarily out of the firm’s Yardley, Pa. office but also sits in the Princeton, N.J. office. He is admitted to practice in both states, in their corresponding Federal Court districts, and in the U.S. Court of Appeals for the Third Circuit. He is Past President of the Bucks County Bar Association.